Shipshewana-Scott History When the town of Shipshewana was first built (1890) the old school house, which was one-half mile west, and one-half mile north was moved to town and was used for a grade school. This building stood where the present house belonging to Harvey Neu now stands. This building was used until 1894, when S. S. Eash, trustee, purchased two acres of land: a four-room school was erected on the present school grounds. Three rooms were used for the grades and one room for the high school. 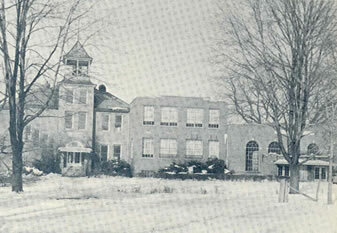 The First class in the high school began in the fall of 1894. J.M. Geiser was the only teacher for this class, which graduated in 1897. No class was organized for 1898, but in 1899 a class of five graduated and the school then had an enrollment of thirty-three. It was during this year, with C M Leib as principal, Frances Weaver as assistant principal, and V D Weaver as trustee, that the school was commissioned, making it equal in rank with any other high school in the state. In the year 1905, under the leadership of J W Hostetler, principal, a number of graduates were sufficiently interested to organize the Alumi Association of the school. The first alumni banquet was held in Davis Hall, Aril 21, 1905, with a good attendance. This association has held a meeting of some kind almost every year. Levi C. Mishler, an alumnus of the school and at that time assistant principal, foresaw the necessity and benefit to be derived from a larger schoolyard. By public subscription he raised $150.00, and a like amount was paid by the township, and two additional acres of land were purchased to the west adjoining the school ground, thus making four acres. Even more land was bought in recent years. As the children went to school in vehicles called hacks, H. J. Bontrager in 1919 saw the need of building a barn to keep them. This was done, but the following year he saw the necessity and advantage of using the building as a gymnasium. So a floor was put into it and used for that purpose. This same old building was used until the spring of 1936. During that summer and fall a completely new building was erected directly in front of the old one. 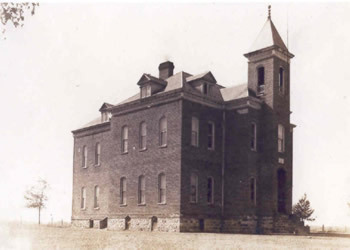 During February of 1937 all the grades were moved into the new building, which was ready for occupancy, and the class of 1937 was the first to graduate from the new schoolhouse. In former years all class plays and operettas were given at Davis Hall, which had a very small stage and seating capacity. Now these activities are performed in the new auditorium gymnasium. 1949 marked the 52nd year since the first class graduated from Shipshewana High School. The enrollment in 1949 was 100 and a faculty increased from 1 to 8 over the first 52 years. There were also 17 principals in that time span. 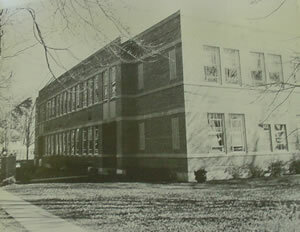 History above was written by Mary Ruth Mishler for the 1949 yearbook. Click images below to expand. 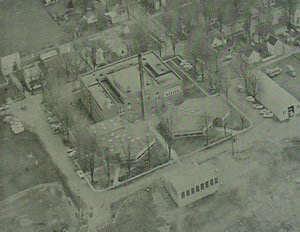 In the fall of 1959, what remained of the older building was finally torn down to make room for new pod type structures to go up at the south end of the school. These were completed by the beginning of school, fall of 1960. At that time the Scott school was closed and all those kids were moved up to Shipshewana School, which led to the name change Shipshewana-Scott Elementary. The school contained grades 1-12. Kindergarten was held at the Fire station. A new kitchen and cafeteria were added at the time as well. 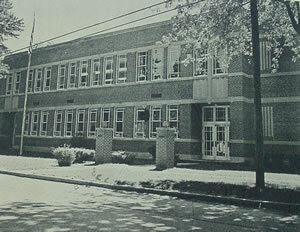 In the fall of 1967 the new High School was opened for it's first classes and held grades 7-12. 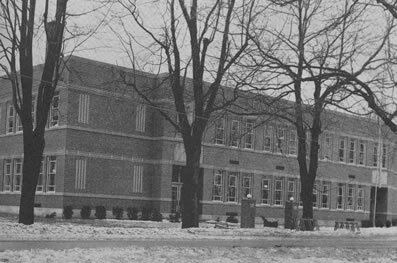 In 1975 the west wing was added on to Shipshewana-Scott, which held 4 classrooms upstairs and 4 downstairs, plus restrooms. The Balcony was removed from the gym area and the entries to the upper tier were sealed off. In the fall of 1990 the new upper elementary school Westview Elementary was opened for its first classes for grades 5 and 6. 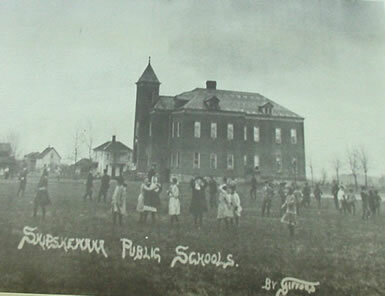 Shipshewana-Scott Elementary was now a school that housed K-4 grades. 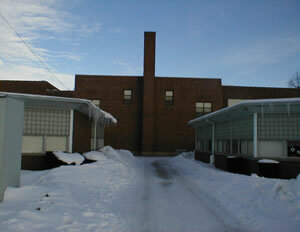 Summer of 2000, an addition was added on to the back of the school to allow an elevator for handicap access. This also included an indoor walkway between pod areas. The kitchen was totally gutted and redesigned as well as the office area. 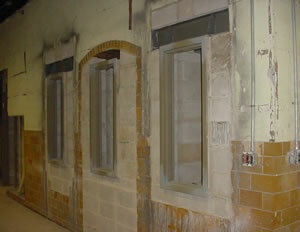 Summer of 2003 saw the installation of central heating and air for the entire building. *Note* We currently do not have any pictures of the school during the 60-80's. If you have any that can be scanned in and live locally, please contact me at the email address below.